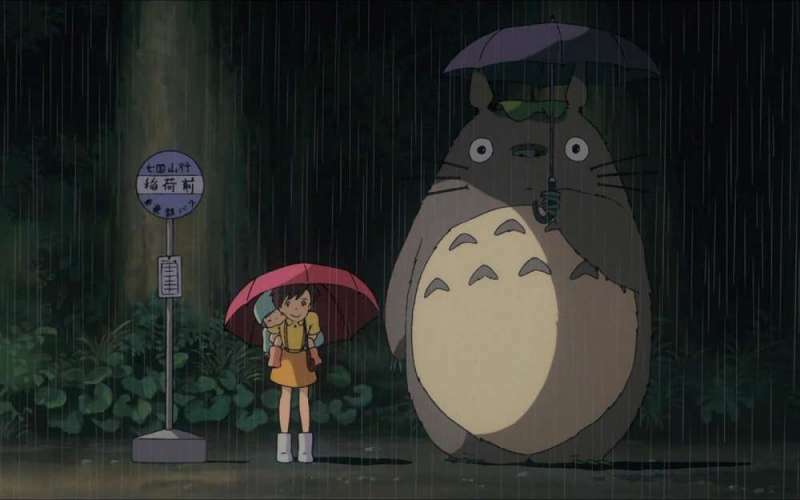 If you’re looking for the most endearing, precious, pure and delightful film, look no further than 1988’s My Neighbor Totoro. Not just a perfect introduction to the world of Japanese animation, it’s completely adorable, utterly immersive, completely perfect for families and kids and adults and everyone. The film features a group of adorable fantasy creatures, and the only thing sweeter than the story of the film are the tiny details you might miss, hidden in plain sight. 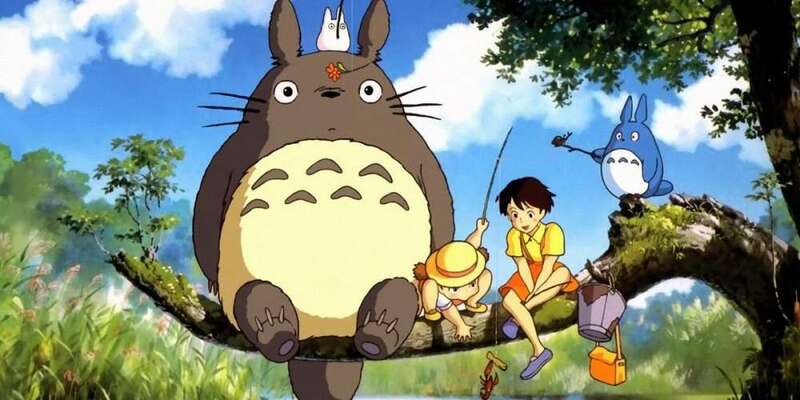 One of the biggest mysteries concerning the film, at least for American audiences, is: What even is a totoro? 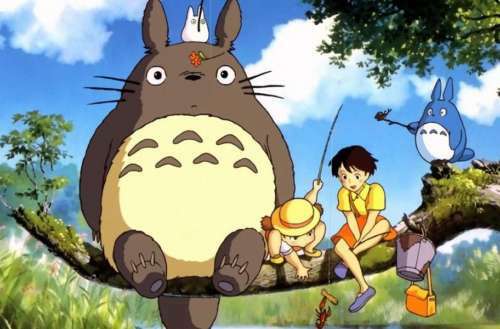 When one of the characters discovers a giant fuzzy creature in the woods, she immediately identifies him as “Totoro.” Why? Well, to understand that, you might need to know a little Japanese. The word is actually a mispronunciation of the word “troll” — or, as a Japanese speaker might say, “to-ro-ku.” A 2006 re-dubbing of the film includes a new line in which one of the characters clarifies the misunderstanding. But, of course, the name sticks. In fact, the Totoro/troll connection is reinforced, however briefly, at the end of the film. The two girls, Satuske and Mei, are seen reading a book with their mother, and if you look carefully at the cover you’ll see it’s The Three Billy Goats Gruff. And hiding under the bridge on the cover is an image of a Totoro. So you see, he was a troll this whole time. So, really, Totoro can be whatever you want him to be. Well, almost. He’s definitely not a demon of death. That was an internet theory for a while — the idea that only people close to death could see him, and that the little girls actually die at the end of the film, because they are animated without shadows. But then Studio Ghibli, the production company co-founded by Miyazaki, debunked that theory, releasing an official statement that the girls didn’t have shadows because animators just didn’t think it was necessary to draw them. The girls aren’t dead. Don’t worry. One element of My Neighbor Totoro that added to the dark speculation: the mystery sickness of the mother. She’s seen hospitalized in the movie. In fact, the real-life town in which the film is set is very close to Shichikokuyama Hospital, which is known for treating tuberculosis patients. And Miyazaki’s mother was hospitalized with TB for many years, making it likely that the mother in the film is being treated for that illness as well. When My Neighbor Totoro came out in Japan, it was a double-feature with a much more grim movie: Grave of the Fireflies (directed by Studio Ghibli co-founder Isao Takahata, who passed away this week at 82). Grave of the Fireflies is a powerful tearjerker about the American murder of Japanese citizens during World War II. That must have been a rough pairing, and for several years My Neighbor Totoro wasn’t particularly profitable. But then, as soon as Totoro plushies hit store shelves, the movie became a major international hit. It’s a testament to the power of merchandising. And although it’s been 30 years since the movie was released, My Neighbor Totoro continues to live on. Not just with audiences, but in the animal kingdom as well. Researchers recently discovered a multi-legged worm in Vietnam that bears an uncanny resemblance to the catbus in the film. Their scientific name for the worm: Eoperipatus Totoro. What’s your favorite scene in My Neighbor Totoro? Let us know in the comments!